On Monday, we were first to report that a study of green coffee bean extract for weight loss touted on the Dr. Oz Show had been retracted. 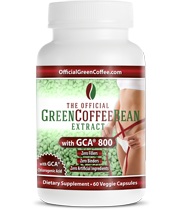 In prior seasons, we covered Green Coffee Extract and its potential as a useful tool for weight loss. Recently the authors of the peer reviewed research paper on which our coverage had been partially based formally retracted their study. While this sometimes happens in scientific research, it indicates that further study is needed regarding any potential benefits of Green Coffee Extract. The other serious danger that this case exposes is how easily corporations, companies, including publishers, can manipulate their web-site contents without public accountability. I have had ample experiences with web-site content at publishers’ web-sites changing almost overnight without any public notice. Thus one day something might be a truth and the next, a myth. This is why it is absolutely essential to archive web-sites somehow, for example the Time Machine function, so that we can track what was there in a particular tie window in the past. Of course, a more simplistic way for those without too many technical skills is to take a screen shot and archie it somewhere. The same applies to the YouTube video. Did anyone archive this? Its a shame that a legit clinician scientist stoops to this level. He could’ve had a good and lasting career in Science but I lost all respect for this guy years ago. Snake oil sales really tarnishes his otherwise productive career. He’s a clinician but I don’t see any evidence of him being a clinician-scientist in Pubmed, unless you’re counting some middle author appearances in clinicial trial publications and other articles on so-called integrated medicine. In my opinion, the designation “physician-scientist” should be reserved for those individuals who are engaged in active patient care for part of the time and spend the rest of their time working on molecular aspects of disease pathogenesis or therapy. Unfortunately, the term now seems to be bastardized to include physicians who don’t know a lick about the scientific method but are heavily involved in industry-sponsored trials or outcomes studies. Possession of the ability to ask statisticians to crunch numbers for you does not a scientist make.